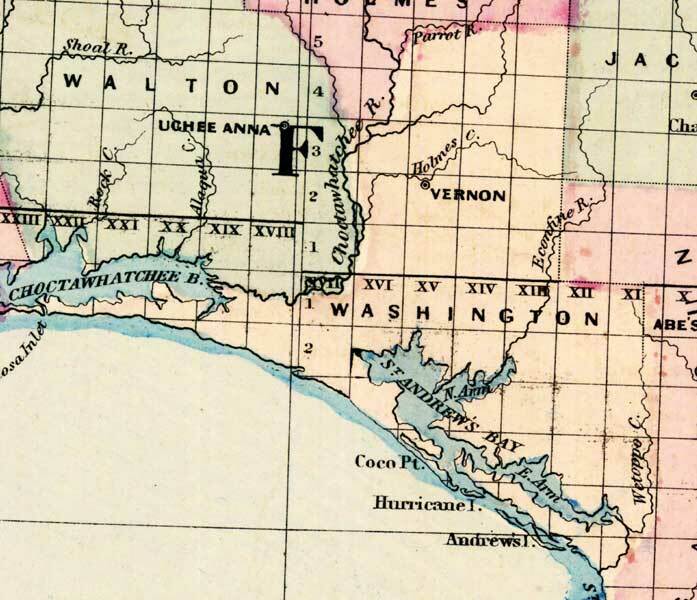 Description: This 1871 detail of Florida shows county lines and county seats current to the period, major towns and cities, and railroad routes and stations for Washington County. The major water features of this detail are Choctawhatchee Bay and Saint Andrews Bay. Other locations include Vernon and Hurricane Island. Digitization provided by the USF Libraries Digitization Center.